Go Daddy was benched this year, but we've got ads from Amazon, PayPal, and more. It's post-Super Bowl Monday and millions of you are probably reading this from home today recovering from Sunday night's festivities. We can't help you with that pounding headache or that regret over siding with Bing and betting on the Panthers–seriously, what were you thinking? But we can give you some entertainment with the best tech-themed ads from the Super Bowl. 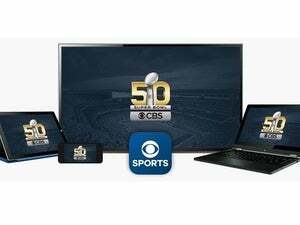 While you were reaching for one of the 1.3 billion chicken wings or a slice of the 4 million pizzas eaten on Super Bowl Sunday, Amazon, Fitbit, T-Mobile, and Intuit's TurboTax were pouring millions into Super Bowl ads. Here's our top 10 from the world of tech. Alec Baldwin, Missy Elliot, Dan Marino, and Jason Schwartzman starred in Amazon's first-ever Super Bowl commercial showing off the Echo smart speaker. This spot takes the prize for 2016 despite the breaded wings. There's also a "day-after" commercial. Never sell out...and ignore the slippers. Jeff Goldblum meets George and Weezy. No, not that George and Weezy. You used to call me on my cell phone. Late night, when I waaaant toooo stream. Arnie gets manhandled by a Kill Bill imitator and a bellboy. This is really a car commercial, but you can track the new Hyundai Genesis on your smartphone or watch. Helicopter not included. Looks cool; needs more surfing. The Blaze is intriguing, but I'd wait for the inevitable Blaze HR next year (just speculating, people). Isn't PayPal really old money by now? OLED TVs are awesome. You know what would be more awesome? Making sense of this commercial.